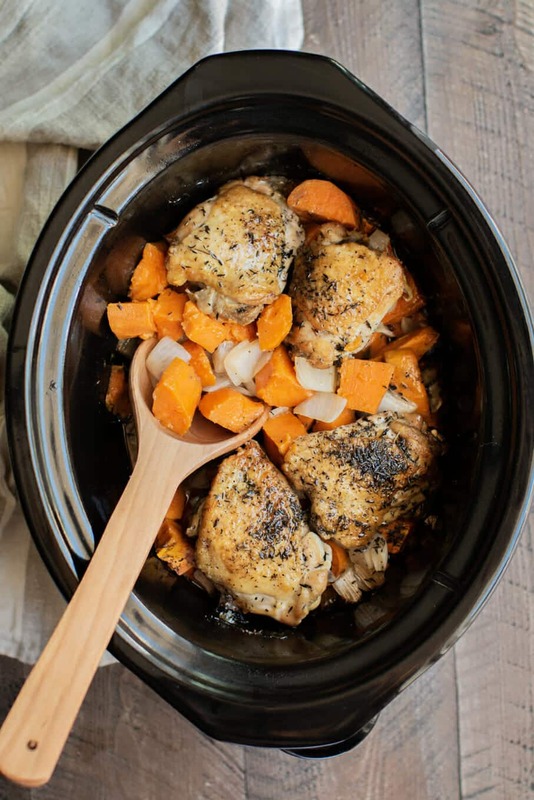 This Slow cooker Chicken and Sweet Potato Dinner is healthy and an easy one pot meal. 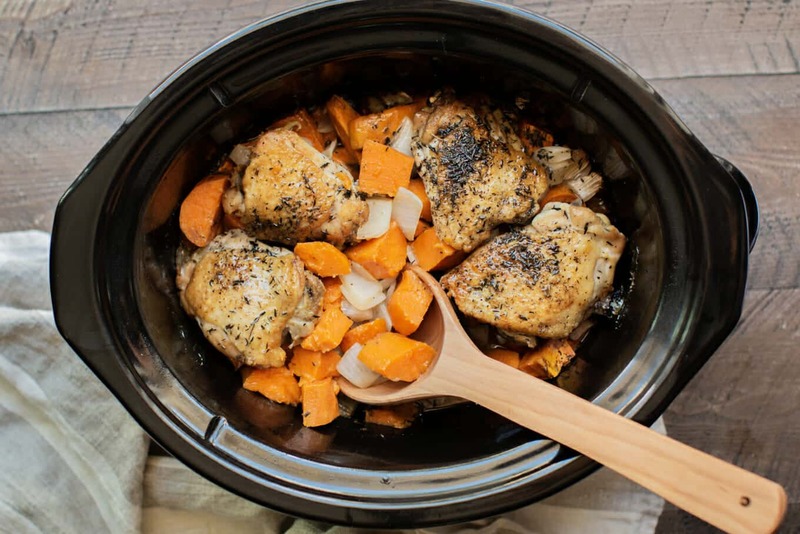 This Slow Cooker Chicken and Sweet Potato Dinner was so flavorful! This is my first time making sweet potatoes without adding brown sugar and cinnamon, I didn’t miss it. 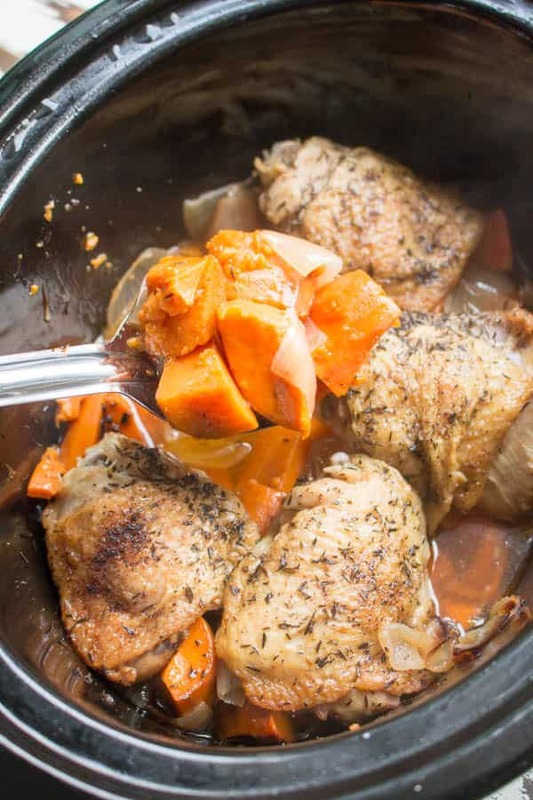 This recipe has simple ingredients, but somehow it produces the juiciest chicken and sweet potatoes that don’t need added sugar. 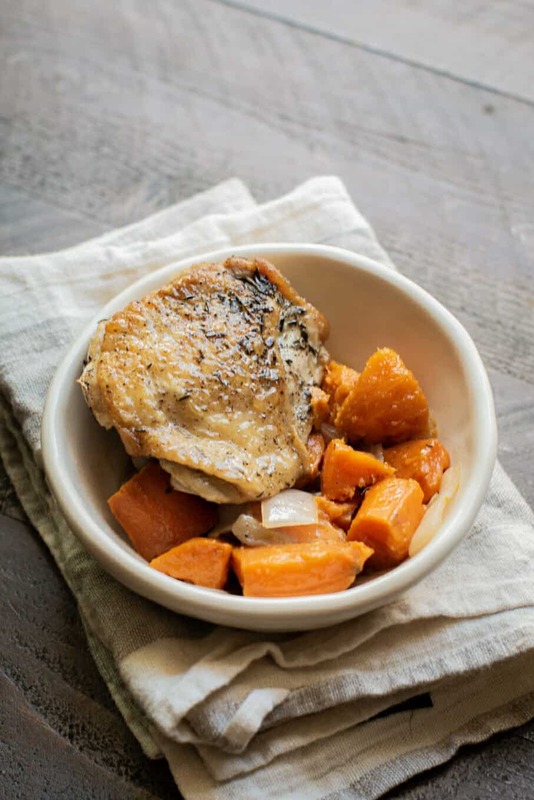 I think the chicken thighs are the key to this dish, while they cook all their juices flavor up those sweet potatoes perfectly. I’m trying to eat healthier, not all the time, I can’t do that. What I can do is avoid sugar and grains for most of the week. All my life I have been trying to cut calories, and failing. I am amazed what I can eat on this lifestyle of no sugar and no grains. This delish meal is my favorite example. Would I eat this on a low calorie diet? Heck no. 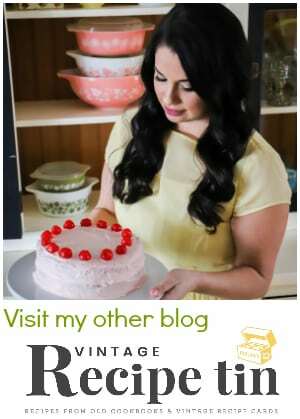 Don’t worry, my blog posts won’t all be no sugar, no grain. I have to eat my pasta, desserts and holiday foods, besides my family would not be ok with this change. In fact I have a brown sugar ham coming up on the blog soon. Stay tuned. Try this meal, even if you aren’t cutting back on sugar and grains. I’m sure all those juices would be delicious soaked up with some crusty bread. Peel and cut the sweet potatoes into large pieces, I cut mine into 1 inch pieces. Cut the onion the same way and separate the pieces so they aren't stuck together. 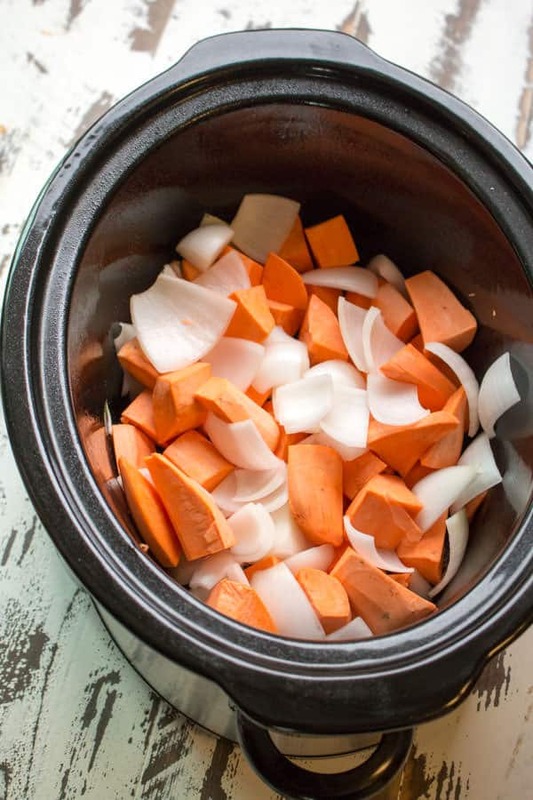 Spray a 6-quart slow cooker with non-stick spray, add the sweet potato and onion pieces to the slow cooker in an even layer. Place a large skillet on the stove-top over medium high heat. Add enough oil to cover the bottom of the pan. Add the chicken skin down first, and cook until it browns, flip the chicken and brown the other side too. 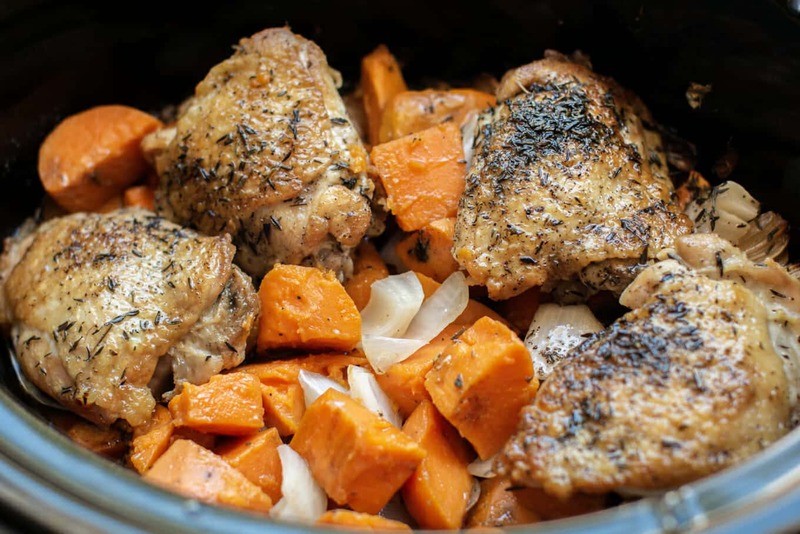 Remove the chicken with tongs and add on top of the sweet potatoes and onions in the slow cooker. Sprinkle the salt, pepper and thyme over the chicken and veggies. Nutritional values are approximate. If you require a special diet, please use your own calculations. Values below are for 1/5 of the recipe. This looks delicious, but I’ve found when roasting chunked yams with onion there is no need to peel them. I didn’t believe it until I tried it. It makes the dish even easier! Mixing in other root vegetables is good, too. Thanks for the tips Dorothy! Unfortunately I can’t get Grampy to eat dark meat — which is my favorite. It works out well with turkey. He gets the white meat and I get the dark but… It means I miss out on good recipes like this one. Does he object to thighs cooked with breasts? Could you use both? I think that would be fine if they aren’t skinless. I don’t like dark meat either. Sad I have to pass this recipe by. I love that you included sweet potatoes. What a great way to increase the nutrition in this lovely recipe. When you have good food like this you don’t miss the grains or extra sugar! I’m with you though, gotta enjoy the sweets every so often too, especially this time of year! This looks like the perfect weeknight meal. 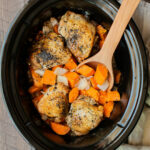 I love chicken thighs in the slow cooker, they stay so nice and moist and get so tender. Can you sub Butternut Squash for Sweet Potatoes? I think that would turn out great! do you think I can cook on low for a longer time? I don’t think there would be any reason that it would work on low for longer. Let me know how it works for you if you do that! 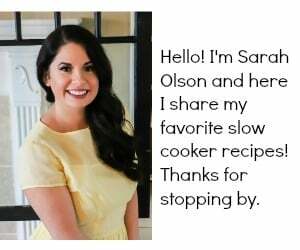 How much liquid do I add to the slow cooker? There is no liquid needed for this! The skin on the thighs will let out a ton of liquid. 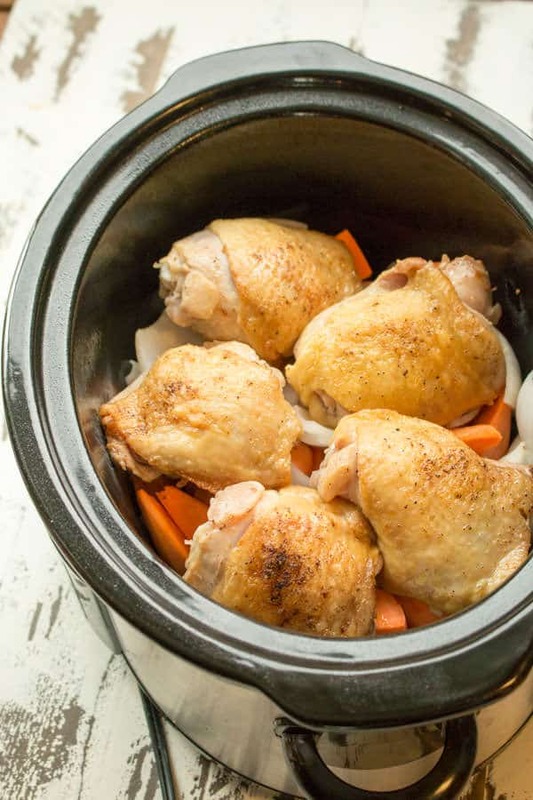 If you decide not to use skin-on chicken, I would add a 1/2-1 cup of chicken broth. Could you do this on low for double the time? I would want to make this before work. I don’t think it would burn, the chicken may be fall off the bone, and the sweet potatoes extra tender. Do you add a chicken stock to this also ? As it’s not mentioned in the recipe that’s all. 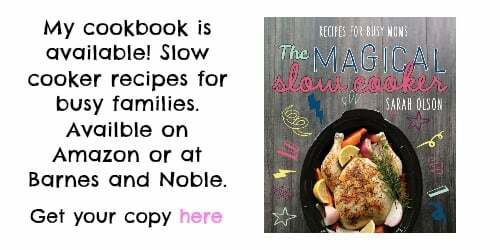 Second time using a slow cooker. Thanks. Will this work using thighs & breasts? Yes! If they are bone in, skin on they will work fine. If you use skinless, I’d add a touch of water or broth. Can I double the recipe and cook it for the same amount of time? 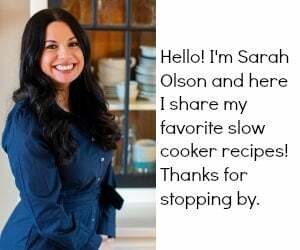 Thank you for all the great recipes. Do you think it would require very much change to substitute cubed butternut squash for the sweet potatoes? 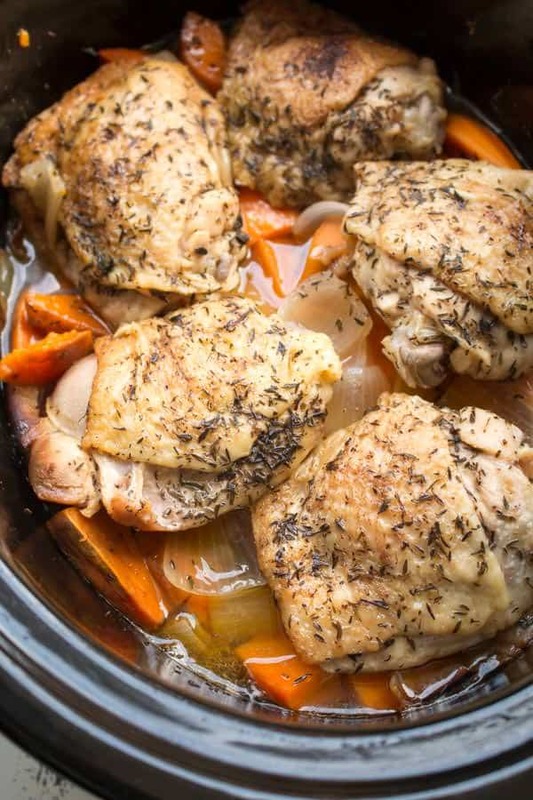 I also need to change the chicken to boneless, skinless chunks to make this a casserole for a funeral potluck so your comments about adding extra broth would help. I have to deliver this in the morning for a lunchtime meal so it has to be a dump-and-go recipe and so far this one looks most promising. Thanks again. I think it will work fine. I’d add some butter.